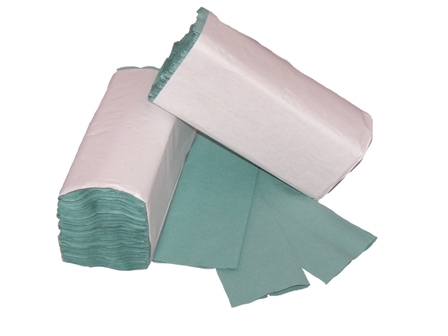 20,992 x economy green 1 ply hand c-fold paper towels / tissues. These are economy paper towels, made from 1 ply paper. Ideal for businesses and consumers looking for a an economy solution, often to serve public demands. These C fold packs are individually wrapped in packs of 164 sheets for easy install to dispenser. There are 16 packs of 164 sheets per case, hence 2624 sheets per case.